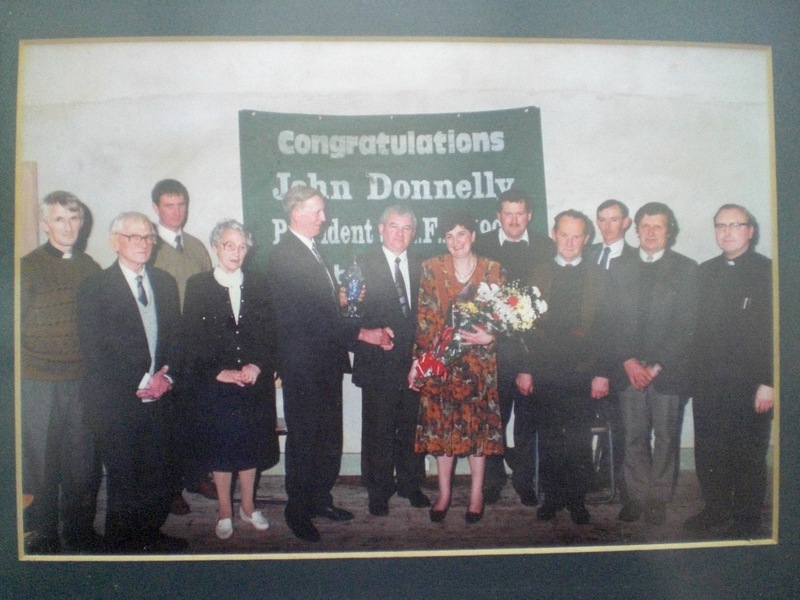 This photograph hangs in Holohan’s Bar, Abbey and was taken following the election of John Donnelly as President of the IFA in 1994. John from Conicare, Abbey has given a lifetime to farming and to the advancement of farmers’ livelihoods. As a member of the Irish Farmers’ Association he served the farming community at many levels within the organisation culminating in his election as President of the organisation from 1994 to 1998. Left to Right: Fr T J O’Connell CC, Connie Donnelly (John’s father), Bertie Roche, Mrs Mollie Donnelly (John’s mother), Tommie Joynt, John Donnelly and his wife Teresa, Pat Roche, Naoise Larkin, Pat Dervan, Stanny Burke, Fr Seán Lyons PP. This page was added on 18/03/2018.